How are you doing with meeting your writing goals? If you are struggling to find the time and focus to write—don’t worry. I’ve got tools—loads of them. I’ll be presenting my 15 core practices for writing regularly at today’s workshop, Core Practices for Completing Writing Projects. You still have time to sign up! And if you have been looking for a writing group, but haven’t found one, consider applying for the Writing Goddesses group. Our work together will give you information, accountability, and encouragement. I have room for 1 or 2 more people. If you’re interested in joining us, visit the Writing Goddesses page on my website to learn how to apply or email me for more information. Today’s tip is an excerpt from my forthcoming book, Level Up: Quests to Master Mindset, Overcome Procrastination and Increase Productivity. This excerpt tackles prewriting, one of the tools that helps me to write no matter what! The blank page is God’s way of letting us know how hard it is to be God. 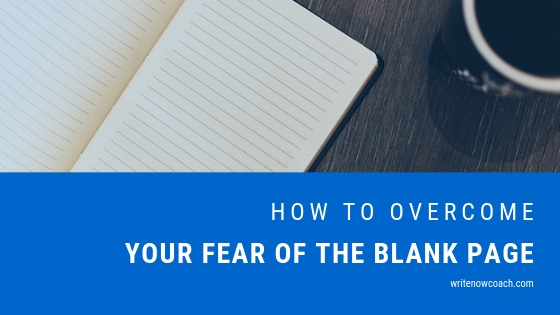 Many writers have talked about their fear of the blank page. But there’s a perfect solution to facing the blank page: don’t. Prewriting—brainstorming or mapping out ideas before writing—eliminates the blank page. This tool comes from my training with the National Writing Project. Students write better if they can start with some sort of prewriting. You will, too. Before we write the paper or the scene, we jot down our thoughts, without any pressure to get it right. The process of exploring the idea in writing can help us identify our core ideas, develop illustrations and details to enrich our writing, and organize our thoughts. When it’s time to write, we no longer worry about the blank page—we have a map to follow. This quest will offer you several tools to try as prewriting tools. Knowing what you will write each day—even jotting a few notes about it— will help you write with ease. On the day before your next scheduled writing session, choose a small step to complete during that session. In your journal or computer document, note your topic. Then brainstorm how you might write about the topic in any way that works for you. Here are some possible tools for prewriting. Use one or combine several together. Mind map. Write your topic in the center of a piece of paper and, like spokes on a bicycle, record any anecdotes, facts, data, or examples that will help you write about the topic. List. Create a list of potential topics, stories, ideas, and more. Free-write. Write anything that comes to mind about the topic. Ask questions. Formulate questions about the topic, what you want to know about it, how you will present it, or anything else that helps you move forward. Draw pictures. For people who feel more comfortable using images, drawing pictures about an aspect of your topic can help you move into writing. Some people use pictures when they create a mind map. Create a rough outline. Some people like to have a map for moving forward with their project. Developing a rough outline can provide that road map. Create a to-do list with tiny steps. An outline can also be thought of as a big to-do list, with the steps written in order of presentation. For this to-do list, write anything that comes to mind—and don’t worry about the order. Use a prewriting chart. E.g., for a scene it might have categories like: characters, setting, main conflict, emotional conflict, etc. For a nonfiction article, it might identify: main point, central ideas, supporting data, anecdotes, details, etc. After 10-15 minutes of prewriting, put away your work until your writing session. Your subconscious will continue to work on the topic and when you get to your writing session, you’ll have no trouble writing! Play with various types of prewriting methods until you find one or two that work for you. Know that the prewriting tools that work may vary with the type of project you’re working on. The quest suggests prewriting the day before your writing session. Feel free to adapt this—and see what happens. Prewrite each morning for that evening’s writing session or simply prewrite at the beginning of your writing time. If you prewrite and still don’t know how to begin the section you’re working on, don’t sweat it. Set aside that prewriting for a future writing session. Take a look at your list of potential topics and select the topic that seems the most engaging. Brainstorm ideas and try writing on that. If neither of these tools work, take a break. The solution may appear to you in the middle of the night, while folding laundry, or at tomorrow’s writing session. Writers have taken drastic measures to overcome their fear of the blank page—including taking drugs and consuming large amounts of alcohol. Prewriting will eliminate fear better than drugs, wine and chocolate! And there are many types of prewriting tools to try. If brainstorming doesn’t work, then try mind mapping or making a list of questions. At some point, you’ll be able to start writing. And if you try all this and still get stuck—set up a consultation with me. I can usually help people overcome their writing blocks in just one or two sessions.